How Does Virginia Address Drug Crimes at School? 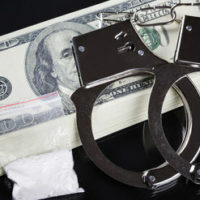 Anyone who has been charged with drug crimes that occur at or near a school should reach out to an attorney immediately in order to ensure they are able to mount a solid defense in their case. That being said, before diving into the specifics of drug crimes at school, it may be helpful to review a few important definitions. As detailed in Code of Virginia Section 18.2-247, the term controlled substance refers to illegal drugs and similar compounds. Governed by the Drug Control Act, controlled substances are divided into separate schedules based on potential for abuse and medical value. Section 18.2-247 also defines the term imitation controlled substance. This category refers to counterfeit imitations of actual controlled substances. Generally speaking, the law treats genuine and imitation controlled substances in the same way. As outlined in Code of Virginia Section 18.2-255.2, it is unlawful to manufacture, sell, or distribute drugs at or near a school. The same applies for possession with intent to manufacture, sell, or distribute. The law applies to controlled substances, imitation controlled substances, and marijuana. At school bus stops during pickup or drop-off times. Second or Subsequent Offense — Results in a mandatory minimum sentence of one year in prison, a maximum sentence of five years and $100,000 in fines. As explained in Code of Virginia Section 22.1-277.08, students may be expelled for committing certain drug crimes at school. Section 22.1-277.08 applies to controlled substances, imitation controlled substances, and marijuana. If a student brings any of those substances to school or a school-sponsored activity, they may face expulsion. That being said, Section 22.1-277.08 does not require school boards to expel students in every situation. If there are special circumstances, the school board can assess a different penalty or no penalty at all. Section 22.1-277.08 makes it clear that the school board gets to determine the appropriate punishment for students who commit drugs crimes at school. If you have questions about drug crimes that occurred at or near a Virginia school, it is incredibly valuable to speak with a skilled criminal defense attorney. The attorneys at Simms Showers LLP, servicing Leesburg, Winchester, Fairfax, and Manassas, have proven experience and skill in the field of criminal defense, including drug crimes at school. If you need legal help with criminal defense, contact us today for a free initial consultation.